For companies that aren’t Fortune 500 giants, pouring time and effort into employee development can sometimes be a hard sell. With limited resources, the logical solution is to get the job done and cut all the extra stuff. But that’s not how AMEND rolls. In the three months that I’ve been here, I’ve noticed a few amazing things AMEND does to invest in their people. I thought he must be talking to my project leader. When no one replied, I pointed to myself with a confused face. Fifteen minutes later, we sat down in a conference room and talked about life. Each week of the Analysts’ rotation, there is an “Analyst Call” in which we learn something new from subject matter experts at AMEND. Partners and project leaders take time out of their day to teach us about topics ranging from SQL to personal finance, to lean manufacturing. We even take tests to delve into our personality type and increase self-awareness. Is it worth the extra time and effort? Absolutely. These calls set me up with skills that prepared me for life, not just for the job. The fact that AMEND values our personal development enough to spend time teaching us about life skills that go above and beyond a work setting is truly a game changer. On our first day at AMEND, Paul Delaney (Partner at AMEND) explained what he calls the “cone concept” to us incoming analysts. The dilemma a small firm attracting top-talent is faced with is how to structure itself to best utilize and incentivize this talent. AMEND solved this problem with the cone concept. Just because there isn’t a specific title on the “ladder,” doesn’t mean that the position doesn’t exist. It just means that you need to forge your own path to make it one. Each person can have more than one area of interest, and frequently people’s interests overlap, but everyone’s “cone” is unique. This approach is incredibly appealing. 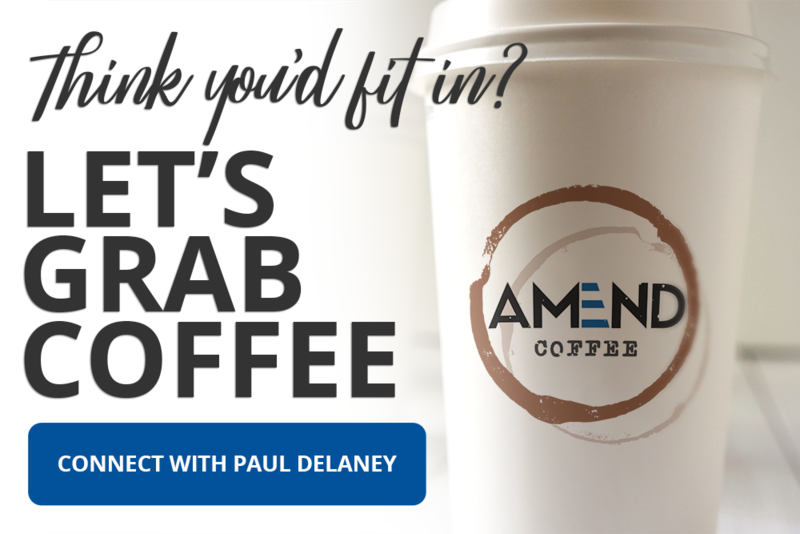 Even if I don’t know exactly what I want to do in my career, I know that my options at AMEND aren’t confined by a rigid structure. My time at AMEND has shown me that people are the most valuable asset in any organization. And working at a company that recognizes this is absolutely priceless.